“Fit as a Fiddle.” Words by Arthur Freed, music by Al Hoffman and Al Goodhart (1932). Recorded by Elsie Carlisle with orchestral accompaniment on January 13, 1933. Decca F. 3411 mx. GB5467-2. The lyrics of “Fit as a Fiddle (and Ready for Love),” penned by Arthur Freed, are an ecstatic expression of a happy anticipation of marriage somewhat in the mold of the classic 1925 Henderson/Lewis/Young song “I’m Sitting on Top of the World” (made popular by Al Jolson). “Fit as a Fiddle,” however, is marked by its peculiarly infectious rhythm and its reliance on nonsense words. “Hi, diddle, diddle” and “Hey nonny nonny and a hot-cha-cha!” stand out, although Elsie Carlisle apparently could not get the latter colloquialism quite right, in spite of its being very clearly written on the cover of the sheet music (although “Hainy nainy nonny and a HAH-chah!” is a very cute variant, I will admit). Baby words aside, Elsie’s “Fit as a Fiddle” is nothing if not ebullient, and she is complemented nicely by her band. In America the year 1932 had seen versions of “Fit as a Fiddle” by The Three Keys, Fred Waring’s Pennsylvanians, Roger Wolfe Kahn and His Orchestra (with vocals by the Kahn-a-Sirs), Gene Kardos and His Orchestra (as Ed Lloyd and His Orchestra, with vocalist Chick Bullock), Will Osborne and His Orchestra with vocalist Annette Hanshaw (who naturally managed to sound not only fit as a fiddle, but a little bit naughty and lazy to boot), Paul Small, and The Ponce Sisters. In 1933 Phil Harris did a version with Leah Ray as the vocalist. 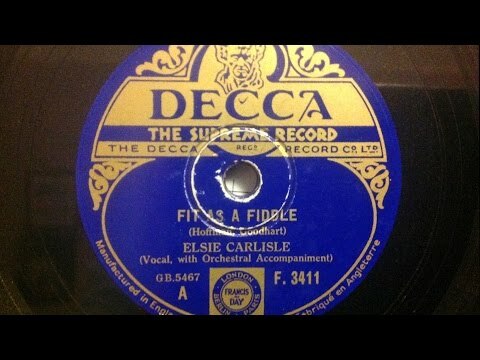 “Fit as a Fiddle” was recorded in London in January and early February 1933 by the Blue Mountaineers (vocalists Sam Browne and Nat Gonella), Ambrose and His Orchestra (with Sam Browne), Jack Hylton and His Orchestra (with vocals by Pat O’Malley, Jack Hylton himself, and Billy Ternent, who arranged the song), and Rudy Starita and His Band, and by soprano Frances Maddux (with Carroll Gibbons on the piano and Len Fillis on the guitar). Post-War listeners are most likely familiar with “Fit as a Fiddle” because Gene Kelly and Donald O’Connor sing it in a flashback in the 1952 musical comedy film Singin’ in the Rain , which was in fact produced by lyricist Arthur Freed himself. “My Kid’s a Crooner.” Composed by Marion Harris and Reg Montgomery. 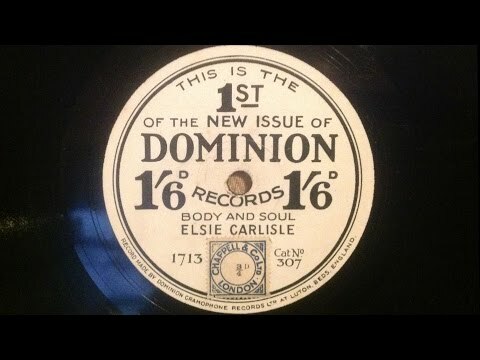 Recorded by Ambrose and His Orchestra, with Elsie Carlisle as vocalist, on January 3, 1935. Decca F. 5393. 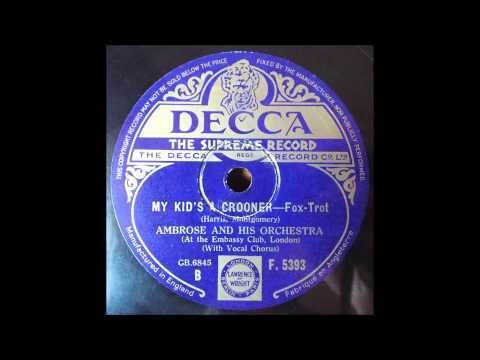 “My Kid’s a Crooner,” a song whose subtitle is, naturally, “(Boo-Boo-Boo-Boo),” was written by British composer Reg Montgomery and American songstress Marion Harris, who had relocated to London in the early 1930s and had retired there. It involves a mother who is concerned about her infant child’s future, seeing as he mostly makes the sound “boo-boo-boo-boo” (and occasionally “ah-cha-cha!”). Concluding that he aspires to be a crooner, she resolves to contact Bing Crosby for advice. 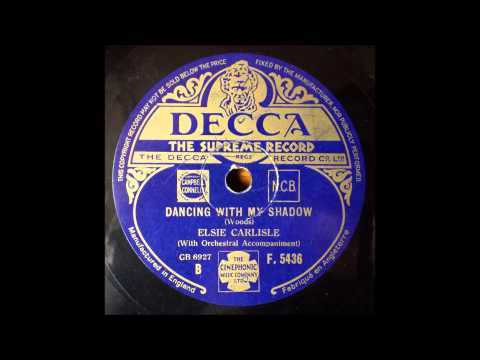 Elsie Carlisle takes this song, which is inherently very silly, and makes it even funnier by sounding almost genuine in her mock-maternal concern — yet not so much so as to let her quavering voice overwhelm her rather cute, moderately infantile, and decidedly Crosbyesque boo-boo-booing. “My Kid’s a Crooner” was also recorded in London in December 1934 by Pat Hyde (accompanied by Edgar Jackson and His Orchestra) and in early 1935 by Harry Roy and His Orchestra (with vocals by Harry Roy himself), the New Mayfair Dance Orchestra under the direction of Carroll Gibbons (with vocals by Frances Day and five-year-old Sybil Jackson, the latter of whom is surprisingly not that bad), Lou Preager and His Romano’s Restaurant Dance Orchestra (with Pat Hyde), and Billy Cotton and His Band (with vocalist Harold “Chips” Chippendall). There were other 1935 recordings by Phyllis Robins, Kitty Masters, and Eve Becke, and an apparently unissued take of Helen Raymond singing “My Kid’s a Crooner” is extant.